HomeBlogDo You Need To Extract Your Wisdom Teeth? Do You Need To Extract Your Wisdom Teeth? What are wisdom teeth and why are they known as “wisdom teeth”? Commonly known as wisdom teeth, the dental term for such teeth is the third molars. These teeth are the last teeth to appear in the mouth. They erupt during late teens or early twenties, mostly between 17 to 25 years of age. They are called so because they erupt into the mouth during the age where a person steps into adulthood and supposedly turns wiser. Wisdom teeth were important in early humans as their diet was coarse and raw. This led to wear and tear resulting in loss of molars that erupted earlier in life. Wisdom teeth would then help in preserving the chewing capacity. But as diets became more refined, the jaw sizes became smaller with lesser space for teeth to erupt in adulthood. The need for such teeth has also diminished because of the change in human diet. Increasingly, wisdom teeth are being conspicuous by their absence in some individuals or they get impacted in many cases. Overall, a prevalence of 18% to 30% is reported for impaction of lower third molars. When a tooth does not emerge out into the mouth to a functional position, within the expected time of eruption, it is termed as an impacted tooth. Such a tooth can be blocked at various positions of eruption eventually leading to different degrees of impaction. Teeth can be impacted mainly due to lack of space in the jaw and gets stuck in the jaw at different awkward positions. Apart from wisdom teeth, other teeth such as canines can also be impacted. Do wisdom teeth always cause problems? If the wisdom teeth emerge out completely to a proper functional position and if the surrounding areas are accessible to cleansing, they seldom cause problems. Food lodgment around the gums surrounding the tooth, leading to inflammation called as pericoronitis, which can lead to infection of the surrounding areas. It is most common to find decay in the wisdom tooth as well as the tooth in front of it due to constant food lodgment and inaccessibility to clean those areas. Deep decay in wisdom teeth can result in infection spreading to underlying bone and soft tissues. In rare cases, wisdom teeth can also be associated with cysts of the jaw that can resorb or eat away at the jaw bone. See Also: What to look for if you plan to do a Smile Makeover? What are the symptoms for problematic wisdom teeth? The can cause pericoronitis, which is inflammation of the gums surrounding the tooth. Pericoronitis results in pain, difficulty in opening mouth and pain on swallowing, it can also cause swelling, either around the gum area of the involved tooth, or in severe cases cause a swelling on the face. This is also the most common reason for removal of impacted teeth. Decay in the wisdom teeth or in the adjacent teeth causing food lodgment in those areas with pain/sensitivity. Decayed teeth can eventually get infected can cause moderate to intense pain along a wide area of the face. Pain can be referred/felt in the opposite jaw, the side of the face, the ears, the eyes, etc. It is also advisable to remove wisdom teeth at the earliest sign of dental decay, especially in teeth that erupt at an angle. These teeth are difficult to restore or fill due to difficulty in access to such teeth. Advanced decay in such teeth can lead to pulpitis which causes significant pain in surrounding areas. Wisdom teeth that are associated with dental cysts/other such lesion also need to be removed. Are x-rays always needed for wisdom teeth removal? Absolutely. It is essential to analyze the position/angulation of the impacted tooth, the anatomy of the involved tooth and the anatomy of the surrounding bone, prior to extraction so that extraction can be properly planned. In some situations, when the impacted wisdom tooth is seen to be very close to the nerve of the jaw, it would be necessary to have dental CT scans done to ascertain the exact relationship of the nerve to the tooth. Is it a painful/long procedure? Surgeries for wisdom teeth removal are usually removed under local anesthesia, which works really well in controlling pain. The time taken for the procedure depends on the individual tooth and the position such teeth are impacted in. Upper wisdom teeth are generally the easier of the lot to remove. Lower impacted wisdom teeth often require surgery lasting 30-45 minutes. If I am very apprehensive of dental treatment, especially of extractions – What options do I have? People who are very anxious and are afraid to get the procedure done under local anesthesia only, have the option of getting it done under sedation or under general anesthesia very comfortably. What can be expected after surgery and how long is the recovery period? Most people will suffer mild to moderate swelling on the face, some post operative discomfort and restricted mouth opening, difficulty in eating food, all of which can last for 4-5 days. It generally takes about one week to recover completely but there is no restriction on performing regular day to day activities. Are there any complications related to the surgery? The common complications have already been mentioned in the previous section. Some uncommon complications include prolonged bleeding, delayed healing of the surgical area, dry socket (painful condition due to loss of blood clot in extraction area). 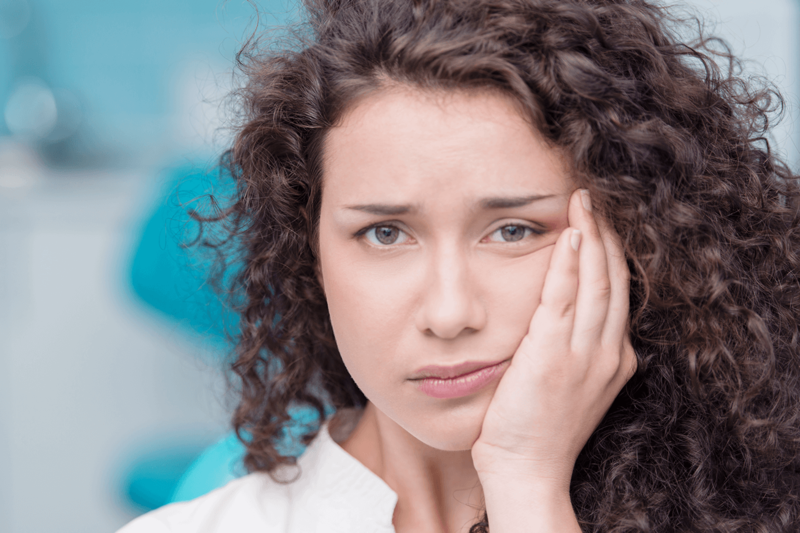 In rare situations where the nerve of the jaw is closely related to the impacted tooth, there can partial numbness or paresthesia affecting some areas of the lower lip and tongue, on the side where surgery was performed. But this does not impact appearance, speech, eating/drinking in any way. Most of the problems are well controlled with medicines such as pain killers and antibiotics. In prolonged procedures, rest for 1 to 2 days is recommended. Are there any changes in appearance or chewing efficiency after removal of wisdom teeth? Once the surgical area heals, there is no difference to the chewing efficiency or to appearance. On the contrary, it will be easier to maintain good hygiene in the area with the wisdom teeth out of the mouth. Please call us on 800-DRJOY (37569) to book an appointment with our Oral Surgeon. Nice article Dear. Thanks for sharing. You’re most welcome Anukhan. We’re glad you liked it!